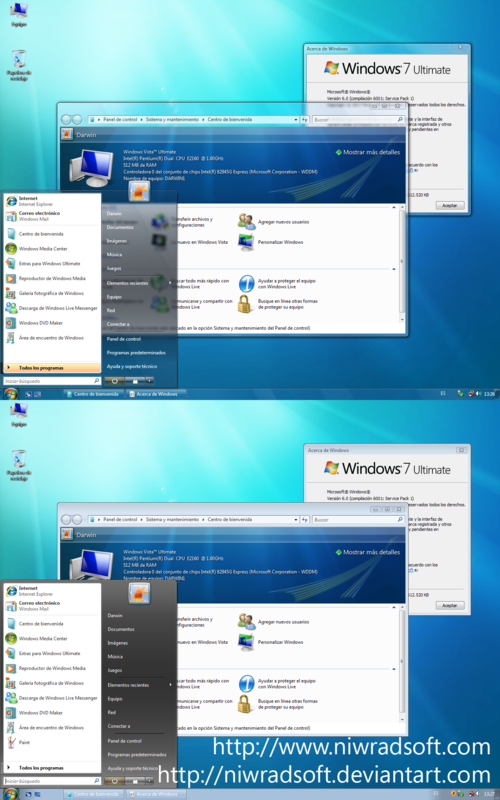 Seven Remix Pack is the most exclusive but user-friendly utility intended to improve the Graphical interface of your Windows Vista. It replaces great part of the resources of system files that contain icons, images, animations etc. Its key features include: installer that automates the process of substitution of system files; applies adjustments in the registry; installs programs of third, skins and visual extras like sounds, styles, etc; makes a backup of its archives in case that it needs to recover them; completely removable and many more.